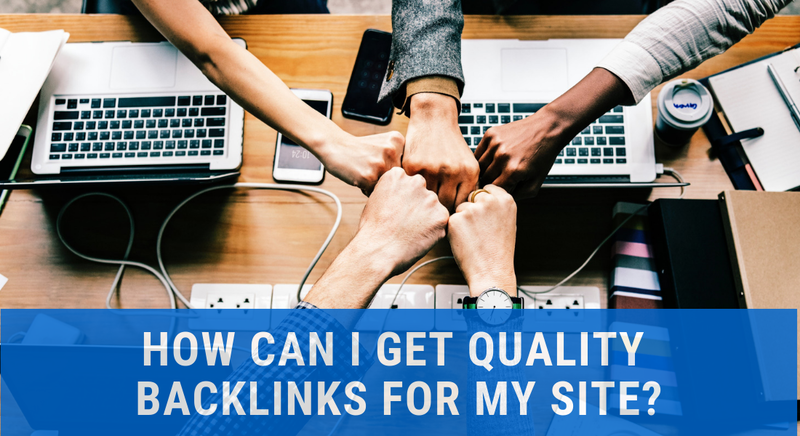 02 Apr How can I get quality backlinks for my site 2019? How Can I Get Quality Backlinks For My Site In 2019? Even in 2019, the significance of backlinks retains a high relevance in the domain of SEO. If you want the highest volume of web traffic to visit your site, there can be no alternatives to develop backlinks. However, this is a mammoth task to accomplish, and unless you take the right steps in the proper manner, you can’t achieve your mission. Here come some useful tricks and tips for producing the best quality backlinks to your web page. Before you start approaching other webmasters for the backlinks, step into their shoes, and consider, why should they allow you to backlink your site or their website. If you really want to get quality backlinks on the leading website that are popular, you need to develop something that offers some significant values. You need to propose something that will benefit the audience and would comply with the standards that the website has adopted, wherein you want to create the backlinks. Here, no values are given to the length of the content, but, everything depends on its quality and relevance. So, you can opt for the content of minimum size, but, compromising on the quality is not acceptable at any instance. One of the most effective ways of developing quality backlinks is that of Guest posting. The concept refers to the collaboration between 2 or more bloggers, wherein each will post some article on the blog of the others, and the publisher will provide a backlink to the website of the contributor, contributing the article. This is a one-step measure to retain the existing audience, by serving them something exclusive, as well as gain exposure to a new group of the audience almost instantly. Again, you can’t afford to make any compromises with the quality of the blog, wherein you will backlink to your site, or if you are the publisher, ensure that you are publishing worthy guest articles for your audience. Mismatch in this regard will produce a devastating outcome, rather than producing any significant values for both the bloggers. If you are getting wonderful responses on any of your posts, you should try to re-purpose it in different other formats. For example, you can convert a text-based content into a presentation, or a video, or to the audio format, and start posting it on various platforms. These days, people are even converting their posts to GIF and Memes that attracts more attention and engagement of the readers. Another option you should try is to convert the existing content as an answer to any queries on an online forum. Now, whatever format you select for re-purposing, you need to mention a backlink to the original content. Trying these suggestions in the perfect manner will help you to generate the best quality backlinks, driving the maximum web traffic to your site, within the minimum time.